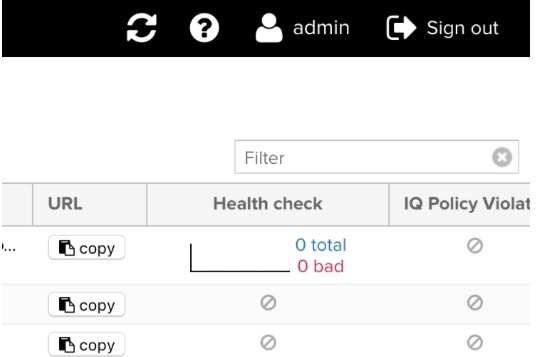 This is a quick tutorial on how to get started with Repository Health Check (RHC) 2.0 available from Nexus Repository Manager 3.3. 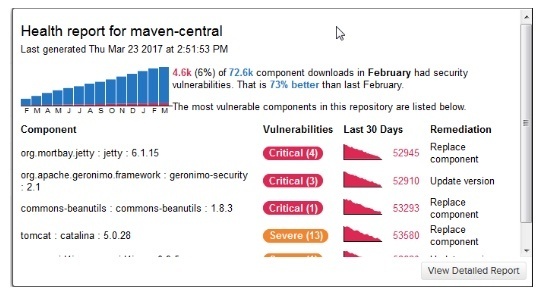 NOTE: If you’re running an older version of Nexus Repository Manager, you’ll see some of the new features, but you’ll need to upgrade for the full experience, including download trends. 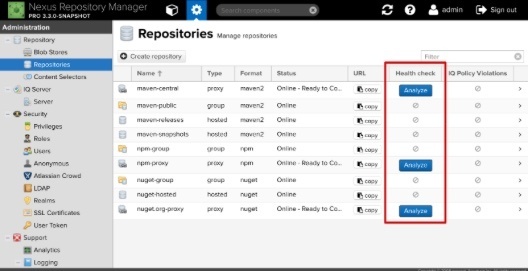 Sign into the Nexus Repository Manager UI and go to the Repositories feature in the admin section. The Health Check column is where we'll start. 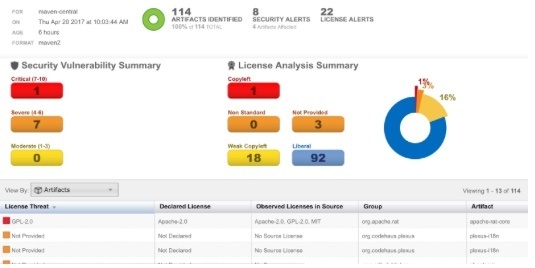 First, click the Analyze button to enable RHC on a repository. A dialog box appears, giving you an opportunity to enable RHC on all supported repositories, or just the repository you selected. 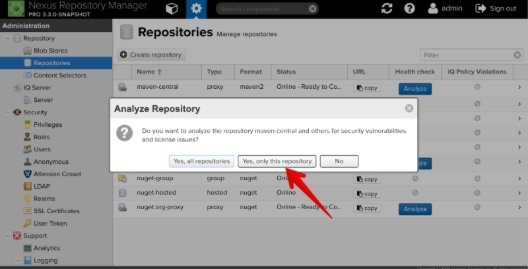 Choose “Yes, only this repository” if you want to try out RHC on just the repository you selected. 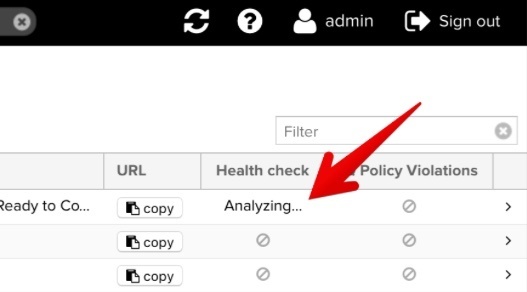 Once you do this, the Analyze button is replaced with an Analyzing… status. The initial scan might take several minutes. Rolling 14 month trend of asset downloads, including month-over-month and year-over-year comparisons. 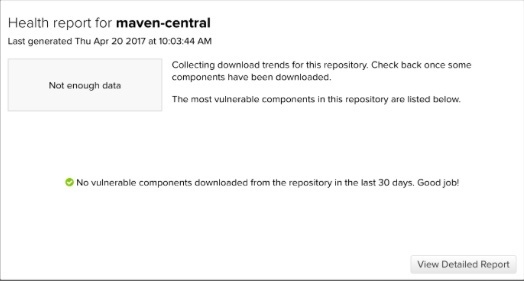 If you’re running Pro, click the View Detailed Report button to access the same detailed RHC report that existed in the previous version of RHC. Note: The RHC service will make calls to https://rhc-pro.sonatype.com or https://rhc.sonatype.com/ depending upon whether you are running Nexus PRO (licensed) or OSS.